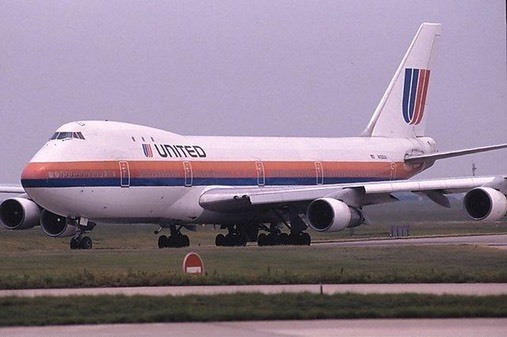 The first 747-100s were built with six upper-deck windows (three per side) to accommodate upstairs lounge areas. Later, as airlines began to use the upper-deck for premium passenger seating instead of lounge space, Boeing offered a 10-window upper deck as an option. Some -100s were retrofitted with the new configuration. Developing nation: United States of America. Manufacturer/designer: Boeing Commercial Airplane Company. Type aircraft: Long range high capacity wide body airliner. - 747-100 February 9, 1969, N7470. 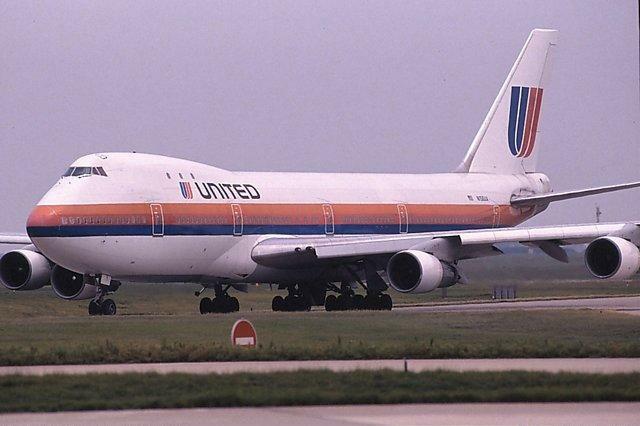 - 747-200B October 11, 1970, N611US. - 747-200F November 30, 1971, N1794B. - 747-200C March 23, 1973, N747WA. - 747SP July 4, 1975, N747SP. - 747-200M November 18, 1974, N8297V. - 747-300/SR October 5, 1982 N6005C. - 747-300M February 14, 1983, N4548M. - 747-400 April 29, 1988, N401PW. - 747-400M June 30, 1989, N6038E. - 747-400D March 18, 1991, N60668. - 747-400F May 4, 1993, N6005C. - 747-400ER July 31, 2002, N6018N. - 747-400ERF September 30, 2002, N5017Q. - 747-100 December 13, 1969 to Pan Am. - 747-200B January 15, 1971 to KLM. - 747-200F March 10, 1972 to Lufthansa. - 747-200C April 30, 1973 to World Airways. - 747SP March 5, 1976 to Pan Am. - 747-200M March 7, 1975 to Air Canada. - 747-300/SR March 1, 1983 to UTA. - 747-300M March 5 1983 to Swissair. - 747-400 January 26, 1989 to Northwest Airlines. - 747-400M September 1, 1989 to KLM. - 747-400D October 10, 1991 to Japan Air Lines. - 747-400F October 22, 1993 to Cargolux. - 747-400ER October 31, 2002 to Qantas. - 747-400ERF. October 17, 2002 to Air France. - 747-100 July 1986 to Japan Air Lines. - 747-200B December 1990 to USAF. - 747-200F November 1991 to Nippon Cargo Airways. - 747-200C September 1988 to Martinair. - 747SP December 12, 1989 to Abu Dhabi Government (UAE). - 747-200M December 12, 1989 to Abu Dhabi Government (UAE). - 747-300/SR October 1988 to Japan Asia. - 747-300M September 1990 to SABENA. - 747-400M April 10, 2002 to KLM. - 747-400D December 1995 to All Nippon Airways. Cockpit crew: two pilots and a flight engineer. Passengers single class: - 539. - 8 first class plus 11 place lounge. - 16 first class sleeper seats. - 32 - 45 economy class. - main deck 516 m³. - under floor 149,96 m³. - bulk under floor 28,3 m³. - total load 694 m³. LD3 Containers in belly: 30. - main cargo deck of freighter 28. - main cargo deck of freighter 30. Horizontal tail unit: 22,17 m.
- four Pratt & Whitney JT9D-3A each rated 19.730 kg thrust. - four Pratt & Whitney JT9D-3AW each rated 19.730 kg thrust. - four Rolls Royce RB211-524C2 each rated 224,8 kN. - max. zero-fuel weight: 247.170 Kg. - max. payload: 76.280 Kg. Max. take off weight: 340.100 Kg. Max. landing weight: 265.300 Kg.